No biggie, is was for 311 South Walnut Street. When I post, it should show up on FaceBook. Within a short period of time, I had a “friend” on FaceBook make a comment that his Great-Great-Grandparents lived at 322 South Walnut Street. Family continued to live there for years after that. “That address sounds very familiar”, I said to myself. My Grandparents lived at 320 South Walnut Street. However, 320 and 322 are the SAME building. The door on the Left, just above the hood of the car, is 322 South Walnut Street. As you have seen, I have does my research in the 1940, UNINDEXED, Census records. Put all of the data from those records into my genealogy database management program. I then took a day-trip to where many of those households were, and took photo graphs of the current houses. Since I have the Census Records in my file, I linked the photographs from that trip, also to the people who lived in those houses. 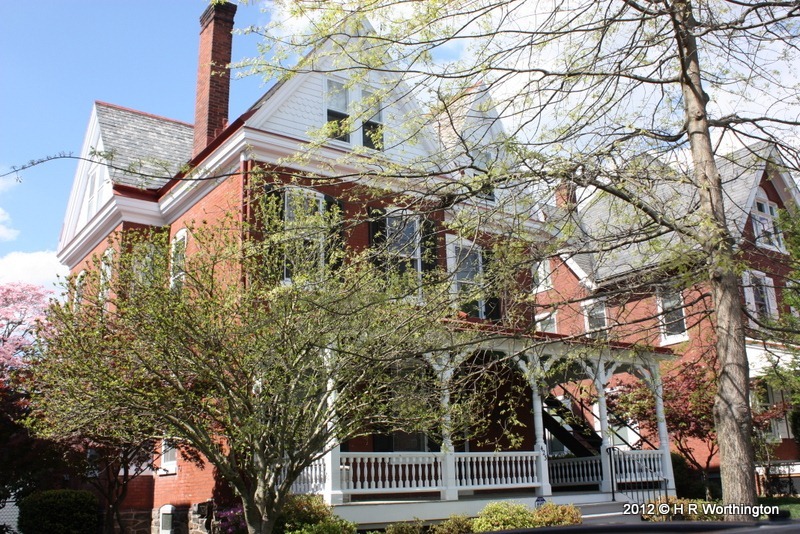 Google Maps, was the next stop, where you can see “my view” of West Chester, based on those Census Records. I don’t know about you, but I have two aunts, from my parents generation and I have been wanting to do something for them. Why not create a book, “Where were you in 1940?” My aunt isn’t “online” so won’t have access to the Google Maps ‘toy’, but her daughter and family and her grandchildren have access to it, but she doesn’t. The purpose of this small booklet was to show her each of the 3 Census Years that she appears in, and some of those pictures that I had taken. I am able to do all of this, and more, from within my program. The book ended up by being 22 pages, is “at the printers”, and I’ll take it to her in the next couple of days. I know that I am missing a couple of homes where she lived, so the book will be updated. AND, I have a couple of pictures, where I need her help identifying who is in them. So, the 2nd edition is already planned. Included in the “book” is an introduction, trying to explain what is in the book, a brief summary of some of the information in my file, all generated from within the program, then a Time Line view of her life, at least the pieces that I can document. Putting her, into context for what is to follow, for anyone else you might receive or see the book. The a list of 12 address, where she or some of her siblings lived, from information from the Census records. The intent is the link between herself and the US Census. She was born before the 1920 Census, so I put an image of the 1920 Census. OK, you can’t read it, so I also included a blow up of the family. That is followed by “no picture”. (this is a “give me that address” set up). I think I know where the farm is, cut “Farm 45” isn’t helpful. I will ask if she can tell me where it is located. She might be able to tell me. The 1930 and 1940 are pieces of cake, same farm, and it is where I lived, and that I have been back to visit a couple of times. I put a series of pictures of the place as it exists today. I don’t know if she has been back there in years, but I’ll guess that some of her grandchildren have not been there. I tried to take pictures of where her first husband’s family lived. I had the data in my file from those Census Records, but the house number does not currently exist. Another lead in for questions. But, I did find where she lived when she was first married. I don’t know which of three houses she lived in, but she and her new family lived in one house, and a cousin lived two doors away. I can ask, OK, which was yours and which was your cousin’s. There is another house, where the family when to picnic, at some early family gatherings. It’s ‘famous’, in my mind, as it is written about a family, “The Utah Woolley Family” and a picture of that house is in the book. I am sure there is a story or two about that house. So, I put a current picture into this book. I then put a photo of my parents first apartment. This is where I found my parents in the 1940 Census, since they were not In the houses where their parents lived. I don’t know if she had ever been there, but if so, what it looks like now. 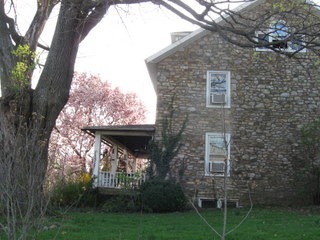 The next series of pictures are of where another brother lived, including his farm house. I know I hadn’t seen that place in many years, perhaps that picture will bring back some memories. A photography of another house where we, as a family, visited on a frequent bases. 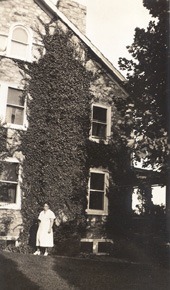 It was where her mother’s sister lived, along with a number of cousins. All documented by the Census Records. 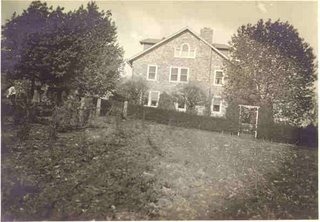 Just a couple of other pictures of houses, not yet in the Census, but should be in the 1950 Census, but houses that she knows. One was her mother’s house, but is also where her step-son currently lives, along with a photograph of her mother and one of our “Texas” cousins. She will know what that is about. I concluded with two wedding photographs. Both have her parents in them, on of which is of their Wedding. But, I don’t know who some of the other people are. I want her to help be identify those ‘other’ people. When I go to deliver the book, I’ll have my Flip-Pal scanner, two Flip-Pal Sketch sheet’s, Wet Erase Pen, copies of other pictures so that I can write on the Sketch Sheet as she identifies the people, and scan those pictures with the names on the Sketch Sheet, so that when I get back home, I can label those photographs with names. So far, that’s what I have done from my “manual” research of the 1940 Census. There is no street address, but I know where this is. 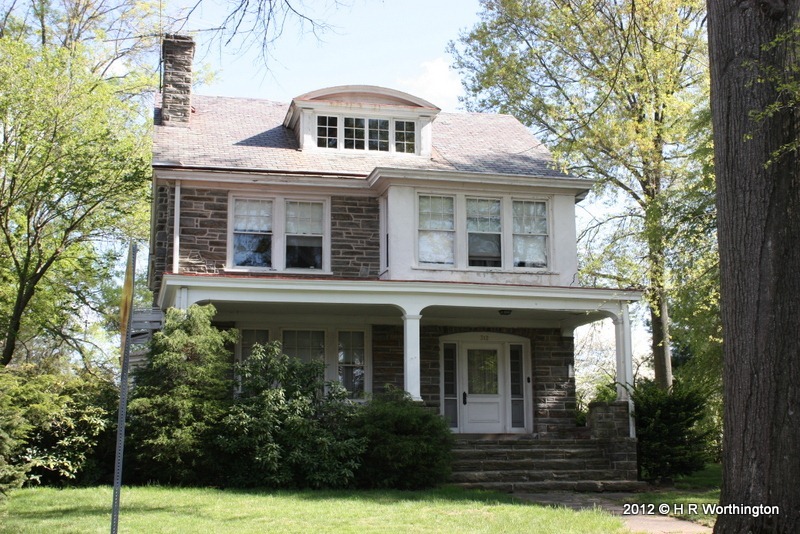 The 1940 Census called it Uwchlan, Chester, Pennsylvania, Enumeration District 92 – Family 73. My Grandparents, and all but one of their children were listed. 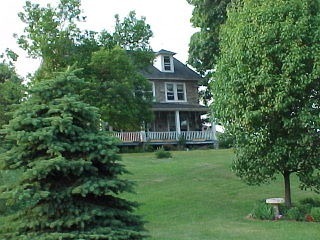 The house was part of the Worthington Orchards, on U.S. Route 100. This next picture is of my Grandmother, keeper of the Garden that was in front of her. This next picture was taken in 1999 on a visit to the farmhouse. 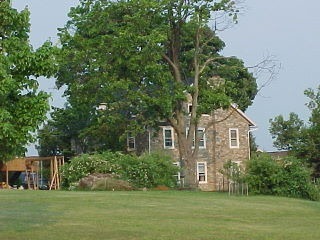 Another view of the side of the house. 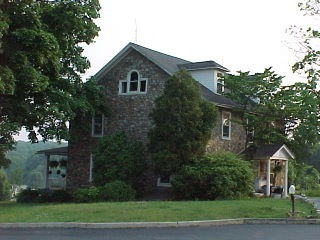 The entrance to the house in 1999. This is the entrance we all used. Behind the photographer was where the “Packing Shed” and farm stand once stood. 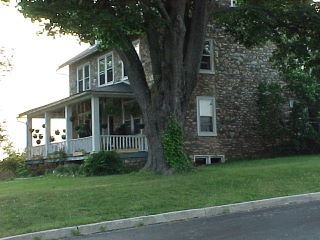 The front of the house in 1999. 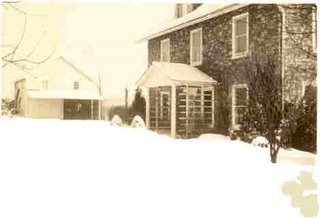 The farm house with a little snow, but a photo of the Packing House where we ALL worked, year round. 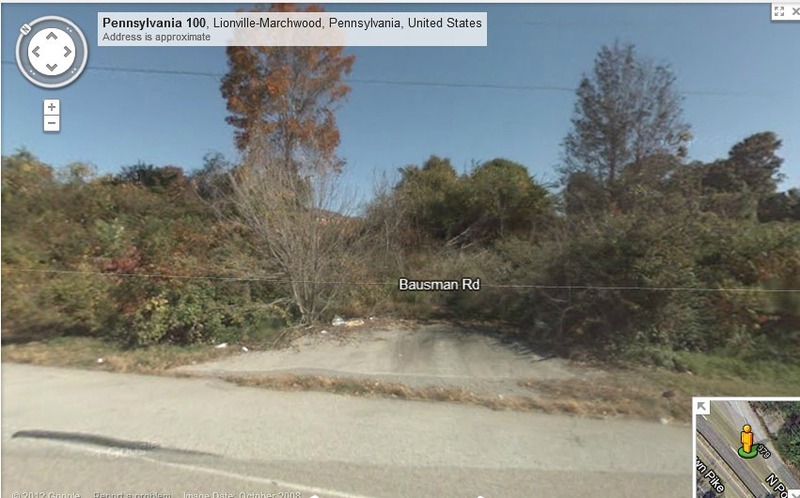 Thanks to Google Maps, a view of what was the Driveway, from Route 100 to the back of the house as seen above. The driveway above is covered with snow, but it was just up the hill from what’s left of the driveway today. There have been a number of Walnut Street houses, at least the South Walnut street area, but we’ll move north about 10 blocks. This next house was the largest of the group so far. Marshall Darlington Strode was my 1st cousin, twice removed. Three ‘surnames’ in one name, is of interest, certainly the Darlington / Strode connection, but Marshall as a given name is also through out my tree. “Just down the road a piece” is Marshallton. Wonder if there is a connection there? At this point, this household was at this address in the 1940 Census, but the family was there in 1935 according to the 1940 Census information. All four members of the household had college education. Could not get a ‘tree less’ or fewer trees to see the beauty of this house. This is my Great Grandfather. 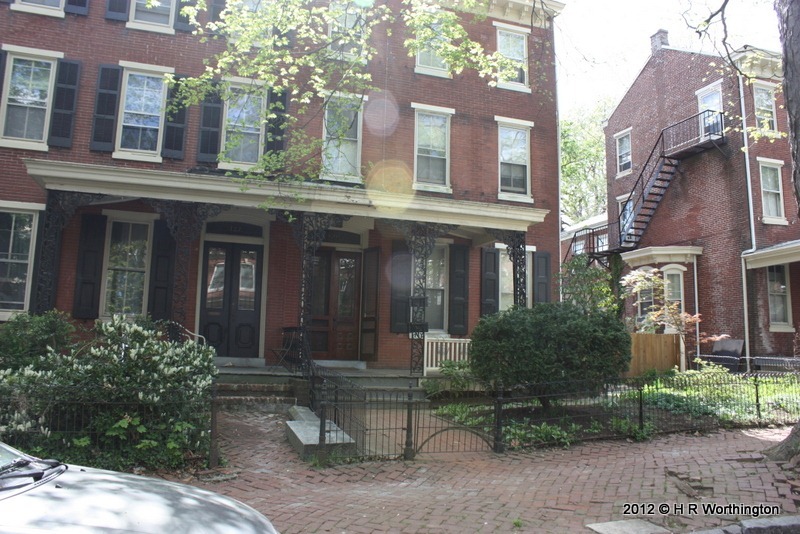 This property, 423 West Union Street, has been in the 1910, 1920, 1930, 1940, and referred to as living at this address in 1935. 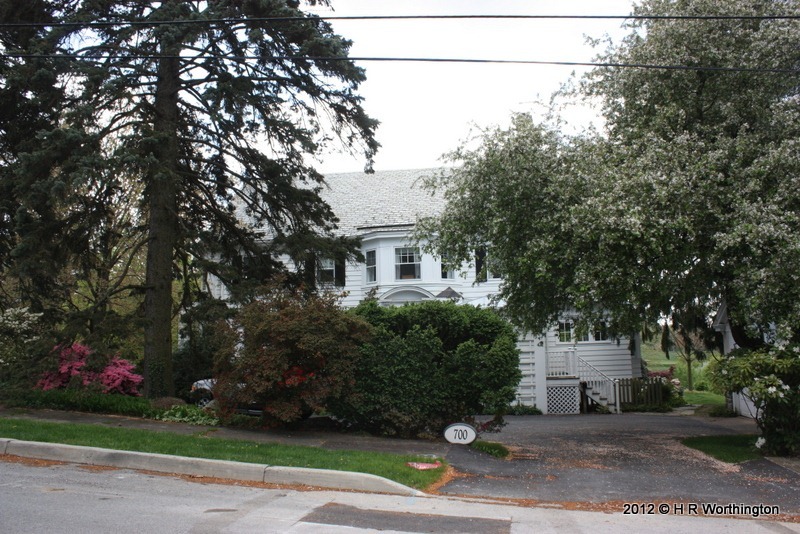 312 Price Street shows up in the 1930, 1940, and referred to for where the family lived in 1935. Joseph Worrell Strode is my 1st Cousin, twice removed.